A deliciously smooth yet complex unpeated single malt whiskey, triple distilled and finished in French oak cognac casks, with selected casks being exposed to the sea air and maritime winds on Lambay Island. The unique micro-climate on Lambay Island imparts subtle notes of salt, iodine and seaweed to this unique Irish Whiskey. Aromas (without water) Malt, green fruit, floral, ripe bananas. Palate (without water) Coconut, malt, dried berries. Types of Barrel used for Aging Initially ex-Bourbon casks but finished in ex-Cognac casks. 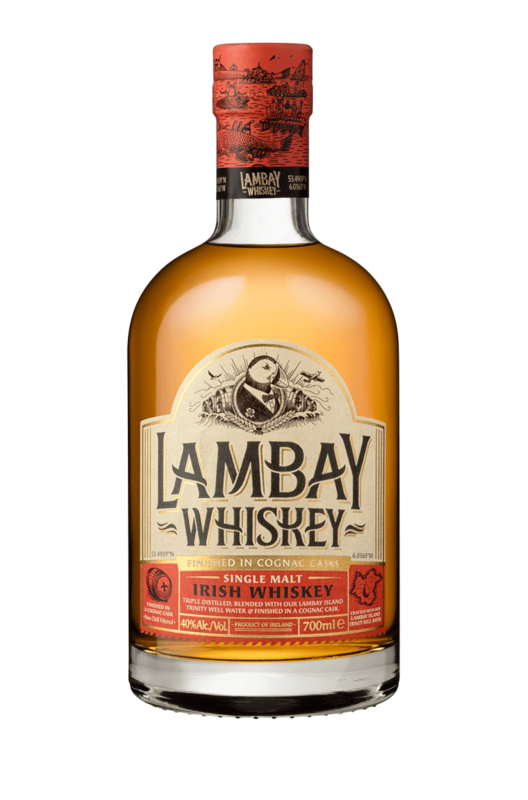 Only the finest triple distilled whiskey distillates have been hand-selected to perfect Lambay Whisk..